How do you get an OS on a legacy system without an OS and nearly nonexistent port compatibility. Also 5.25 floppies. This has sat on my retro console shelf, mostly lifeless, for nearly a year. We had no OS and no possible way of resurrecting it for modern use. Volhacks gave me the time and gumption to see what is possible with legacy systems and how far we have come with our tech. 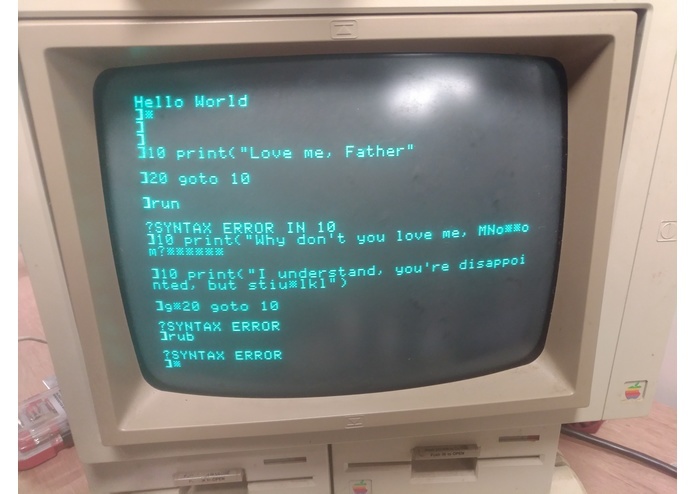 It now has DOS 3.3. 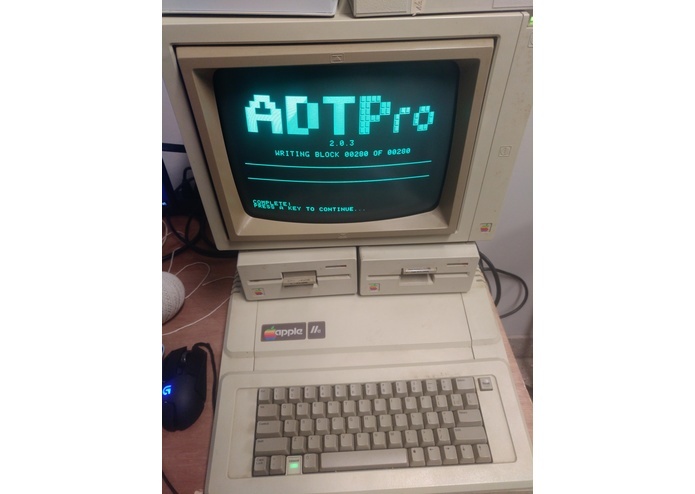 Can function as a standalone computer and burn new floppy disks of classic gaming titles and programs. It is connected, somehow, through the cassette tape interface using two aux cables transferring data through the headphone out and mic in jacks on a modern PC. Trial and error... so much error. trying to perfect the strength of analog signal coming out of the pc headphone jack. 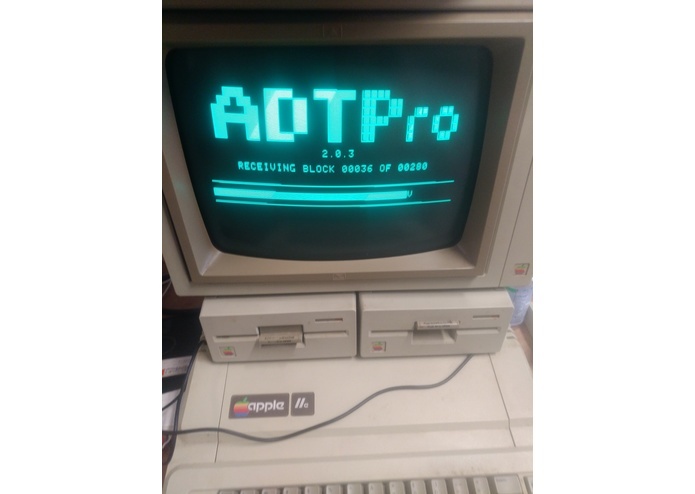 After many many hours, I successfully managed to maintain a connection and transfer DOS and proceed to write it to a floppy for proper boot sequences offline. I can't write to 5.25 floppies with my windows 10 laptop. nor anything else from the past 20 years. No one in the Knoxville area has anything remotely resembling a DB25 serial port except the RadioShack in Servierville. It had a build your own kit. I used that to create my own custom DB25 CTE to DB9 CTE RS232 serial port adapter from scratch. Also, transferring data on an analog connection from my headphone jack to an outdated cassette storage interface is not the most stable and efficient method of moving data. The connection would fail before it finished. I got it closer and closer to the full transfer before a different driver set for the headphones and mic jacks made the transition much more intact and successful. I put an OS from the internet onto a 5.25 floppy disk from 1984. I also now have such classic games as Adventure, Oregon Trail, Donkey Kong, and Space Odyssey. This machine can now be used along with my other retro consoles for entertainment for many years in the future. The basics of Apple Basic language. What is legacy support, and why it doesn't exist. Relearned commands for the ][e that I haven't used since I was a child. How to create serial ports from scratch and how they communicate with each other.